Will and Kate's World: Bike Riding with Cousins! Will and Joshua got new bikes for Christmas. 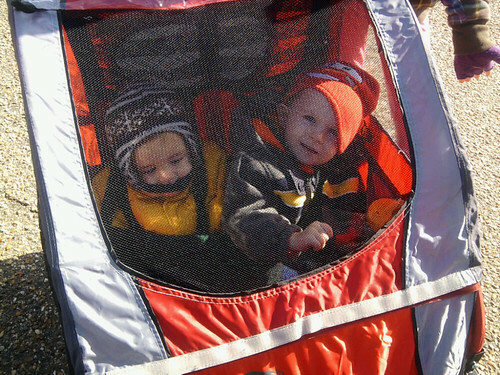 And bike trailers for the little boys. 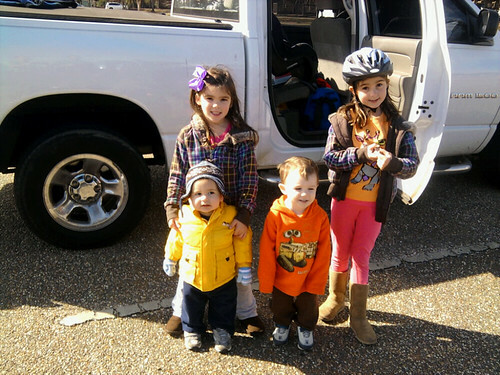 When we came to Mobile for Christmas we brought the bikes so that all the cousins could go riding together.